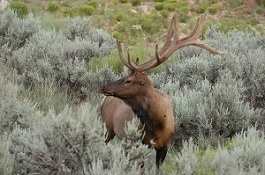 PHOENIX — The Arizona Game and Fish Department’s proposed recommendations for 2018 and 2019 elk, pronghorn, and population management hunts are available for review online at www.azgfd.gov/huntguidelines. The hunt structures and recommendations were formulated based on a five-year hunt guideline package that was approved in September. nts about a particular game management unit or hunt can be e-mailed to: azhuntguidelines@azgfd.gov. The public also can call a game management biologist at any of the department’s statewide regional offices. No formal presentations are planned. The proposed hunt recommendations will be presented for consideration at the next Arizona Game and Fish Commission meeting Dec. 2 at department headquarters in Phoenix. The agenda will be posted at www.azgfd.gov/commission. For more information about the hunt recommendations and hunt guidelines processes, visit www.azgfd.gov/huntguidelines.